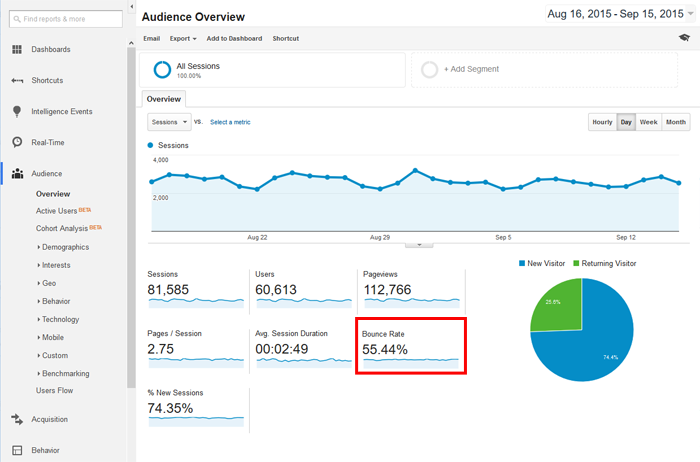 Do you know what your site’s current bounce rate is? If not, log into your Google Analytics dashboard and take a look at it. Your bounce rate shows the percentage of visitors that landed on an individual page on your site and then bounced away without navigating to a second page. You want your bounce rate percentage to be low. If your bounce rate is higher than 50-60% then following the tips below will help you get it into a more desirable range. What’s cool is that as you work to lower your bounce rate, you’ll naturally see an increase in page views, average session duration, and conversions so it benefits your site all around. 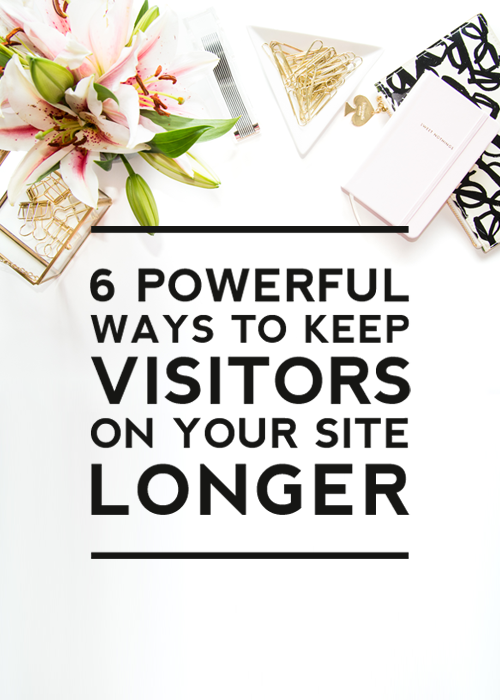 Below you’ll find 6 powerful ways to keep visitors on your site longer and lower your bounce rate. 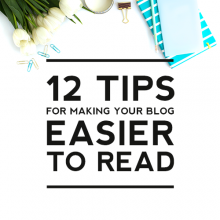 When writing your blog posts, you want your content to be easy for your visitors to read. 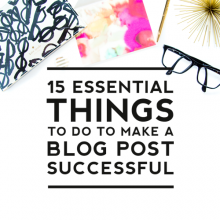 If your posts are unorganized and filled with long blocks of overwhelming text, you are going to lose visitors fast. Including plenty of whitespace and using well organized short paragraphs will increase the likelihood that your visitors will stick around to read your content all the way through. Offering links to related content at the bottom of each post is a great way to entice readers to stick around for more. If a visitor is interested enough to finish reading through an entire post, they will most likely be interested in reading another post with similar content. Take advantage of interested readers and make it easy for them to find out more about a topic by adding a related posts widget. Adding related posts to the bottom of your posts will help to hook visitors into your site and will in turn help to lower your bounce rate. 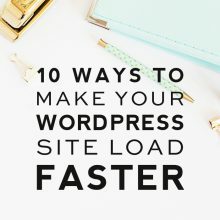 If you are on WordPress, installing a related posts plugin like WordPress Related Posts (this is the one we use and recommend) can increase your internal traffic up to 10%. This plugin will automatically select similar posts by default, but you can also manually select the posts you’d like to appear. You can also customize the heading text and change whether it displays a simple list of posts or image icons for the posts. We recommend playing around with the settings until you find a combination that best helps to reduce your bounce rate. Similar to adding related posts to the bottom of each post, you can entice visitors to dive deeper into the content on your site by featuring popular posts on your sidebar. Your sidebar is prime real estate for showcasing the best content on your site so take advantage of this space by featuring the posts and pages you want people to read. Sidebar widgets appear on every page of your blog, so as visitors explore your blog, it increases the likelihood of them clicking over to one of your popular posts. There are many great popular posts plugins like WordPress Popular Posts that you can install. These plugins automatically calculate which of your posts have been visited the most and displays those posts in the widget. If you don’t want to use a plugin, you can also manually create your own list of posts you want to feature as we’ve done on our blog sidebar. Any time you create a new post, you should find natural ways to include links to related posts within your site. It’s also important to remember to edit old posts to include links to any new content you create that might be related. Be sure when using internal links that you only include links that are related to the topic and that truly add value for your visitors. Taking advantage of internal linking will significantly increase your page views and will drive visitors deeper into your site. There is nothing more annoying to a visitor than a slow loading site. Having a website that takes longer than a few seconds to load will absolutely destroy your bounce rate because visitors will immediately hit the back button. You’ll also be penalized by Google by having a slow loading site, so do everything you can to get your site speed up. A great tool for testing the site speed of your website can be found here: Google’s PageSpeed Insights. We also highly recommend following the tips found in the related posts below. Another key way to keep visitors on your site longer is to have a simple, well-organized navigation menu. This makes navigating around your site and finding information easy for your visitors and will keep them around longer. Many websites have complicated menus with too many links and drop-downs which can be confusing for visitors. Keep your main menu simple and focused on the key pages you want your visitors to visit. Drop-down menus are helpful in offering more options under a main menu option, but try to limit the number of links in the drop-down portion to no more than ten, if possible. You can also effectively add navigation menus to your blog sidebar, but again, it’s important to keep them simple. What other ways have you found to be successful in lowering your bounce rate? Let us know in the comments.